ShinyLoot is hitting the ground running with a library of DRM-free games and more discounts than you can shake a serial key at. Back in June, a new challenger arrived on the digital distribution scene with the goal of fighting DRM and supporting indie titles. 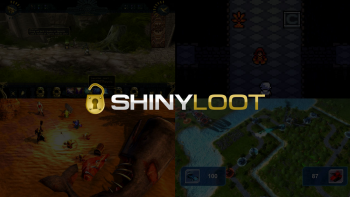 ShinyLoot, as the site was dubbed, entered an open beta with 325 games, many of which include activation keys for Steam and Desura. Now the site is preparing for the official grand opening on August 26, sporting over 400 games and a six week chain of sales. Discount-oriented gamers will be interested in the site's launch for the sales, if nothing else. The majority of the ShinyLoot library will be available on the cheap at some point in the six week event, ranging from half-price weekly sales to at least 80% off daily deals. These sales will run until October 6, but expect plenty of new deals in the coming months as the site grows. ShinyLoot aims to put indie titles and major releases on an even playing field by avoiding the modern bias towards flashy blockbuster games. The site foregoes a traditional front page in favor of a powerful search tool that organizes games by over a hundred "traits" such as Tower Defense and Rogue-like. Every game on the site is distributed without a mandatory client or any obtrusive DRM. The ShinyLoot store is available in its beta form now, but check back on August 26 to take part in the big launch and claim some of those sweet sales for yourself.